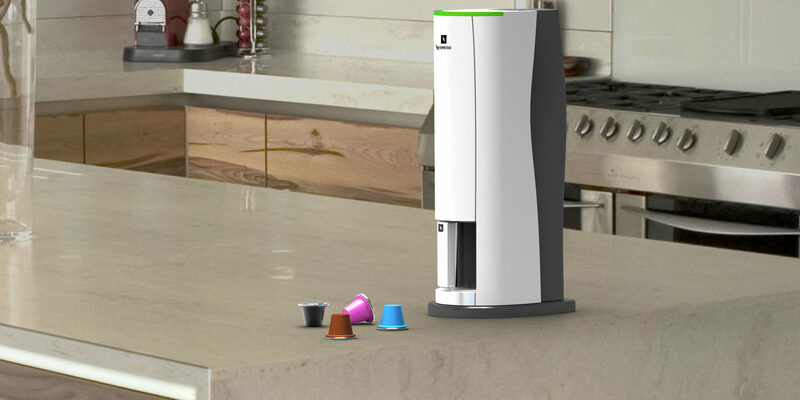 This project introduces compact and economic Nespresso brewing and takes it from complicated and expensive to a premium, appealing, and portable. This will be achieved by designing a future Nespresso machine that uses coffee capsules as its main project focus for the American market. It works by inserting a water container above a coffee capsule and then pressing down to activate the machine for one cup of coffee.